Everywhere that live performers entertain audiences, workers represented by the IATSE Stagecraft Department are behind the scenes. We work in venues that include Broadway theaters, opera houses, dance centers, regional theaters, seasonal outdoor amphitheaters, arenas, concert halls, parks, television awards venues and stadiums. Additionally, the front-of house workers who seat the patrons, work in the box office, scan the tickets and look after the audiences in dozens of ways are also represented by the IATSE, as are the press agents, house and company managers in legitimate theater. 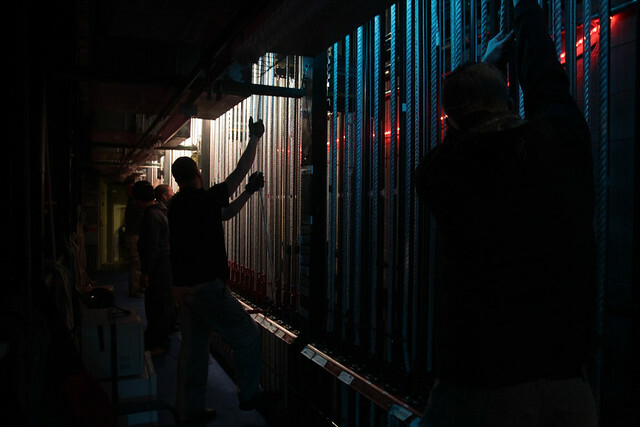 The Stagecraft Department is as old as the IATSE itself, and since 1893, 365 days per year we have been behind the curtain and behind the scenes. As a department we are proud of our long history and tradition, with our fingers on the pulse of technological change. We provide an experienced, technologically adept, flexible, skilled workforce to live venues of every kind all across the United States and Canada. From the soft light falling on an actress’ face to the color and style of the gently fluttering curtains in her living room during a summer rainstorm, the elements that help create beautiful visual imagery and emotional moments are crafted by members of the IATSE Motion Picture Division. On movies large and small, animated films and series, internet content, television shows across the dial - including children’s programming, reality, game, awards and talk shows - the list of our job requirements and skills is nearly endless. We build the sets, design the clothing, frame the image, record the dialogue, edit the scenes, animate the characters, and yes, even create weather to help bring a story to life. For more than a century, we have been the preeminent source of skilled labor for the motion picture industry. IATSE members are union-trained in the latest technologies and safety techniques; productions in the United States, Canada and around the world have benefited from the passion, skills and hard work of our crews. As one of the newcomers to the entertainment world, the Convention and Tradeshow Industry has been enlarging its footprint over the last four decades. 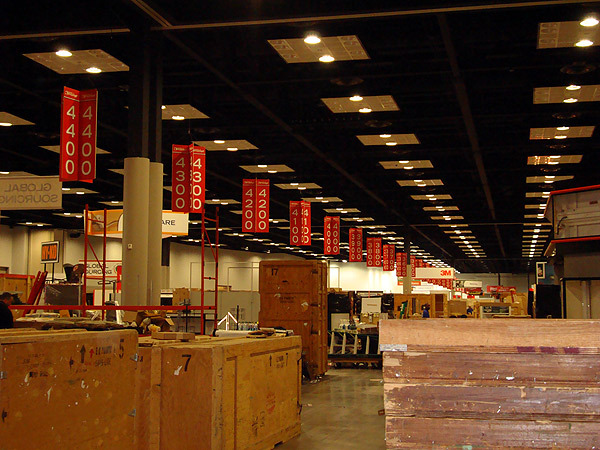 In that time, IATSE Stage and Exhibition Locals have been engaged in the installation and dismantling of local, national, and international Conventions and Tradeshows. More recently, the International’s Tradeshow Department has formalized its relationship with multi-national employers by initiating national agreements and standardizing conditions for workers in the industry. Whether it’s rigging the annual Auto Show, transforming an arena to exhibit heavy equipment or to stage a political convention, installing a digital display for Blizzcon, or setting up the audio visual equipment in a meeting room, some of our most talented crews exhibit their skills to ensure the successful display of technology, manufacturing, and services in the United States and Canada. The Canadian Department oversees all of the IATSE's Canadian affairs and supports the 20,000 Canadian members in 40 Locals through negotiations, training, organizing, and more. The Department works with stage and film locals to organize more theatres, venues, and productions, and with the Tradeshow Department to organize tradeshow and convention workers into existing IATSE locals. The Canadian Department also works closely with all the IATSE departments on areas such as the negotiation of international agreements and providing education and training opportunities tailored to Canadian members. Along with providing support for Canadian members and locals, the Department coordinates efforts on national initiatives with regards to benefits, legislation, political activism, lobbying, and much more. The Education & Training Department facilitates and supports a culture of ongoing learning within the IATSE. Equally dedicated to leadership skills for union officers and craft skills and safety training for workers, the department sponsors and promotes union skills courses and workshops. It also works closely with the IATSE Training Trust Fund, ETCP, InfoComm, USITT and others in order to help workers keep abreast of new technologies, equipment, and styles of work. The Department operates outreach programs to high school and college students, creating a link to the workers of tomorrow. Strong leadership, solid skills, and safe practices depend upon access to education and new ideas. The Education and Training Department seeks to ensure that IATSE workers are the safest, most skilled labor force in the entertainment industry, with the smartest, best-educated leaders in the labor movement, both now, and in the future. The Communications Department enhances and supports the IATSE by maintaining the IATSE’s website, social media channels, email program, and coordinating with other departments and Locals to share stories of our members and disseminate information. Through Facebook, Twitter, Flickr, and Instagram, the Communications Department has set up an informal network of communication amongst Locals, and between Locals and the International. The social media channels also allow anyone to learn more about the union brand, making it easier than ever for people to become informed about the union behind entertainment. The Communications Department also creates educational materials to assist local unions and IATSE staff with modern communications methods and platforms. By publicizing and participating in organizing drives, political action, and social movements that benefit our members, the Communications Department supports all aspects of the IATSE every day. The IATSE has represented workers in television broadcast for decades. Initially our members in broadcast were employed primarily at local television stations. Beginning in 1998 the IATSE began to organize technicians engaged in telecasting live sports events over regional cable sports networks. Today the Broadcast Department consists of local unions that represent television station employees, and locals that specialize in live sports broadcasting and thousands of members working in broadcast from stage, studio mechanics, wardrobe and make-up artists and hair stylist local unions. These technicians are essential to the production of everything from your local daily news cast to your favorite professional and college sports telecasts. Broadcast technicians include technical directors, audio technicians, camera operators, video technicians, capture playback operators, editors, graphic artists, and utility technicians. These highly skilled technicians are always in the forefront of technological innovation as the introduction of new equipment is an unceasing element of live broadcasting. The Political and Legislative Department ensures that IATSE members have a voice in the political process, and assists local unions through issue education, outreach to allies and campaign development. Our goal is to ensure that if there is an issue that affects the IATSE, we have an active hand in influencing the decision for the benefit of the IATSE membership. The Political and Legislative Department works to give members a voice in the political process by increasing the political influence of the IATSE through advocacy, policy/legislation, and grassroots action to defend and advance the issues that affect our members. IATSE legislative activity is focused on member priorities: advancing legislation that protects our creative rights, ensures collective bargaining rights, strengths pension and health benefit laws, defends job opportunities for our members, and enforces safety standards. These issues also guide the administration of the Stand Up, Fight Back PAC. Our PAC supports candidates that stand with workers, regardless of party affiliation. Whenever there are elections, the Department utilizes the IATSE U.S. Districts, their Secretaries and Chairs, as a means of getting out pertinent information to members so they are aware of the positions politicians hold that have consequences for workers. The Political and Legislative Department keeps members aware of legislation and campaigns so they can exercise their voices.